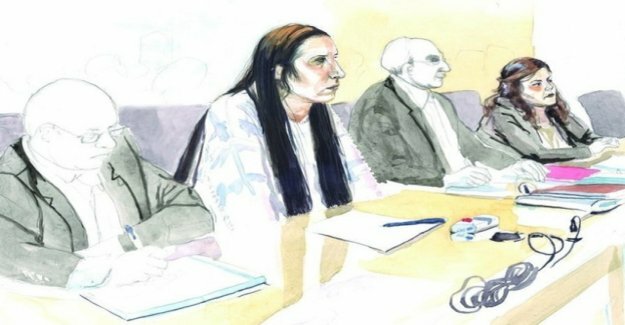 The Federal court has not entered an input of the main perpetrator in the murder case of the old age centre in Kilchberg ZH in front of six and a half years. The 35-year-old woman had asked in November of last year, the high court of Zurich, a Revision of the judgment of 2016. At the time, she was convicted of murder, robbery and commercial theft found guilty and sentenced to imprisonment for a term of 15 years. The Supreme court has not taken part to the Revision request. The Appeal before the Federal court is also without success, as the published on Wednesday the judgment. The Lausanne judges are not entered on the complaint of the woman. These have not shown the extent to which the decision of the lower court against the Federal law of the movement. The health specialist had suffocated in 2013 with a colleague, an 88-year-old resident of a retirement center in Kilchberg. They then stole jewelry, money and a credit card in the total value of a few thousand francs. The 35-Year-old had pulled their conviction before the Swiss Federal court. Also a request for the Revision of the Federal court judgment, remained without success.